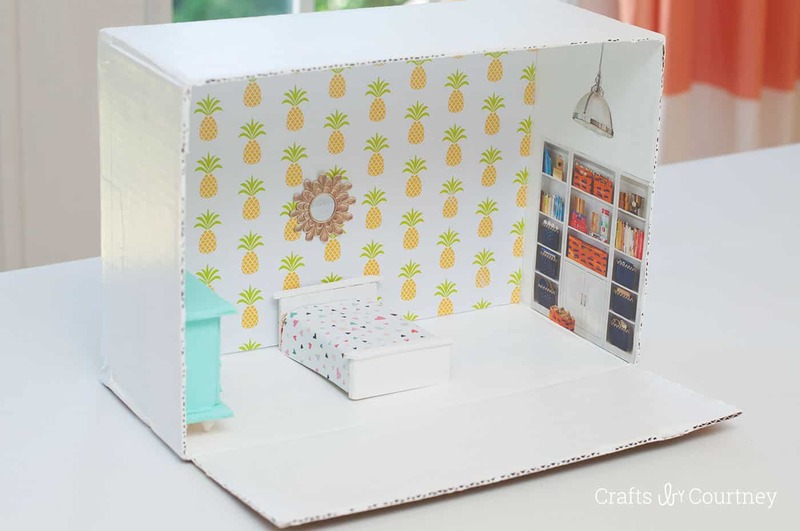 Don't spend big bucks on a doll house – this doll house craft will show you how to make an awesome version from a cardboard box! Skills Required: Beginner. 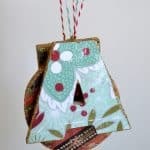 This craft is great for any age of children – or even adults! 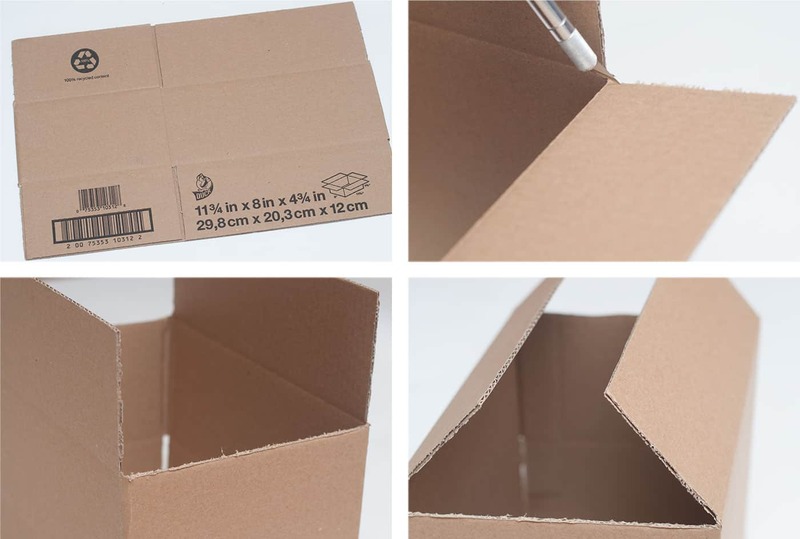 What I love is that it uses a recycled box . . . so if you “mess up,” it's easy and inexpensive to just start over. 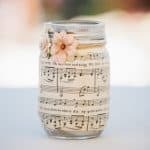 We've shown you easy craft ideas for kids, and this is yet another project that littles will really enjoy! 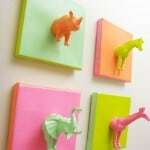 If you love giving kids their creative freedom, this craft is perfect. I LOVE a dollhouse project, unfortunately I have three boys and they really don't care for dollhouses. BUT I still really wanted to make one. 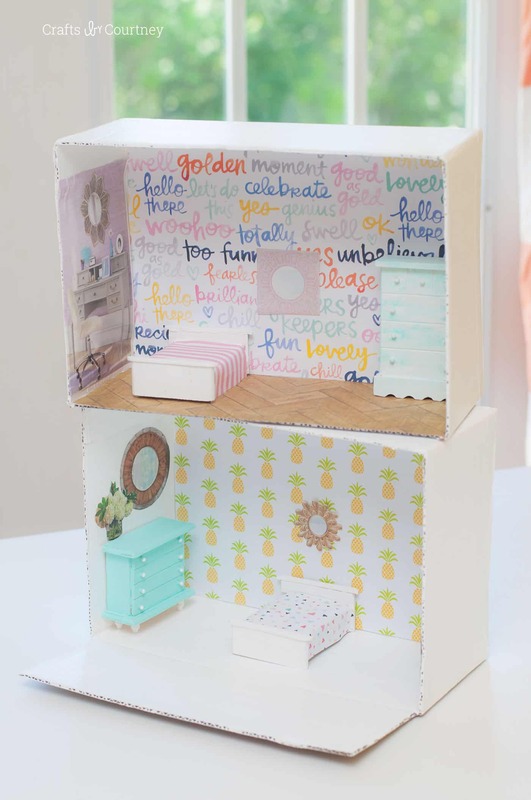 So I thought creating a simple and easy dollhouse would be an awesome idea to share. I'll take any chance I can to work on a girly kids project. 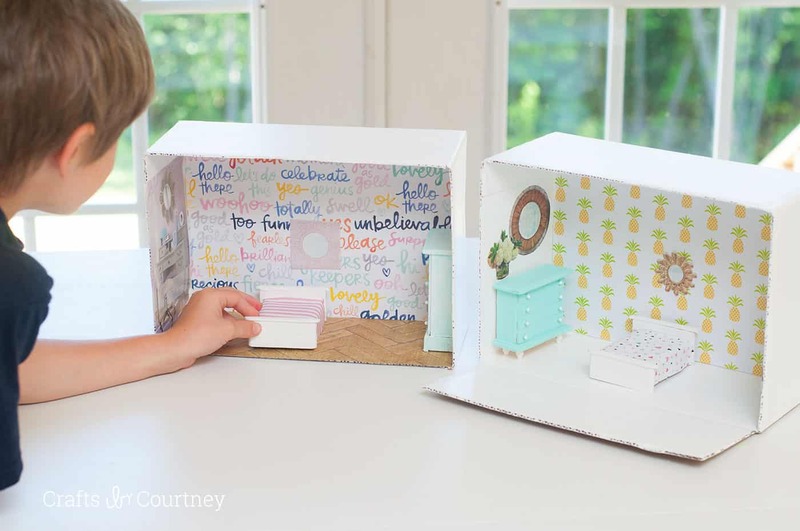 I also think this DIY dollhouse is a really fun and pretty inexpensive project that the kids can work on this summer. It's a great project to keep them busy. 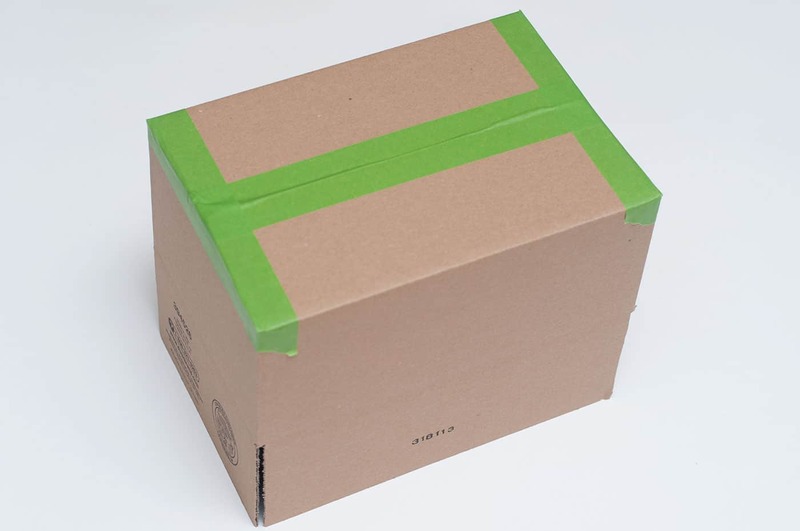 First I ran to Wal-Mart and grabbed some boxes. These were around .50 cents each. BARGAIN !!!! I cut the end flaps off with my “trusty” X-Acto knife for the back wall. Then I cut all four flaps off for the front opening of the dollhouse. Next I taped up the back with painters tape. 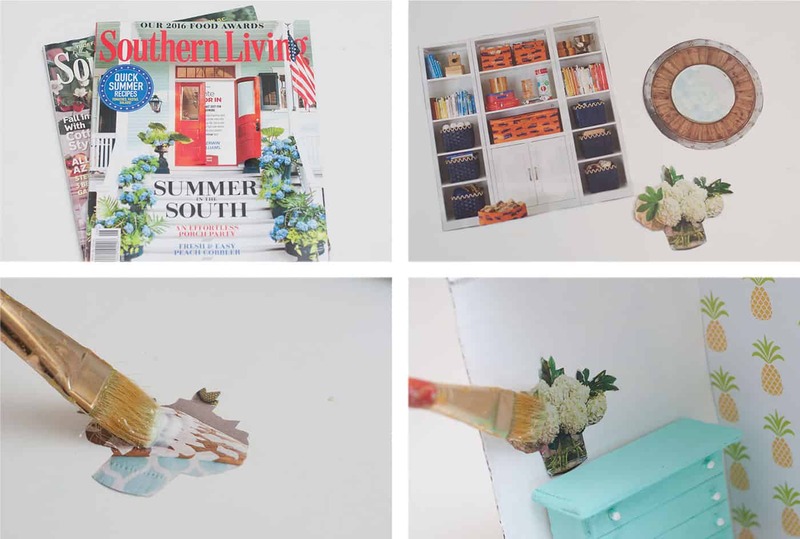 I love using painters tape for projects like these; it's flexible and easy to paint over. Now it's time to paint!! 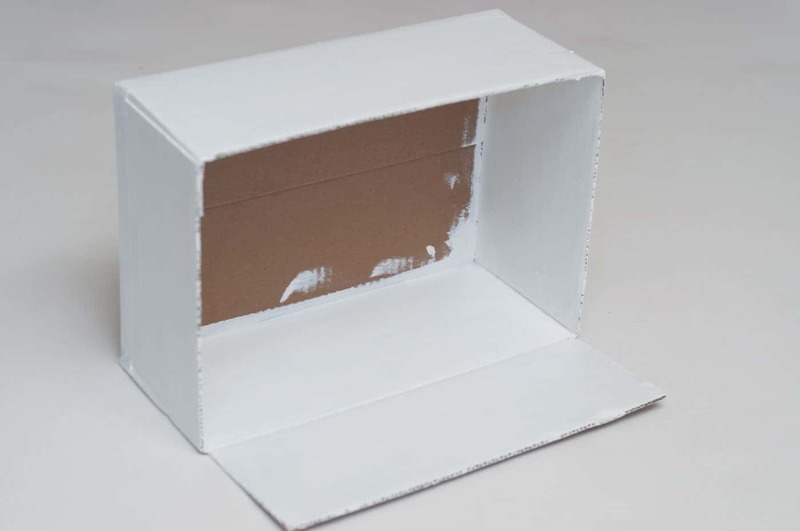 When I paint boxes, I love using those sample size paints you get at Lowes or Home Depot. You can pick any color you want and get a good amount for around $3.00. I did a total of three coats and let each one dry 20 minutes. I also used a blow dryer to prevent any warping. Spray painting is a great option too but that could get a little pricy at $4.00 a can. Now the FUN part!! Adding our cool back wall. Of course I grabbed some funky/cool patterned pieces from Michaels. 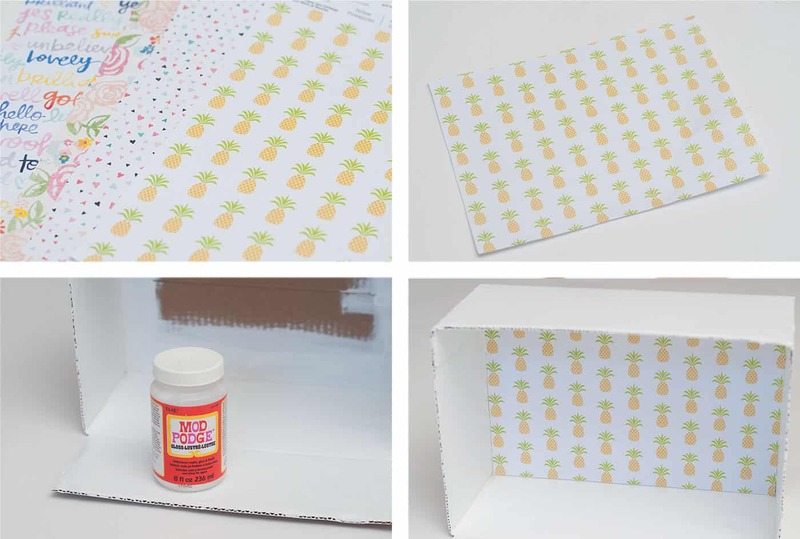 Measure and cut your scrapbook paper to fit the back wall. I started at the top of the back wall, by adding some Mod Podge and laying my paper on top. Then working my way down. 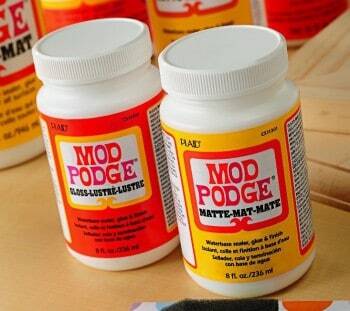 You don't need to over Mod Podge with this, just paint on a thin layer. So this was a step I was pretty excited about. I think a little girl or boy would have a blast going through magazines and picking out fun accessories. Mirrors, pictures, flowers, etc. My Pottery Barn catalog had a TON of great options. 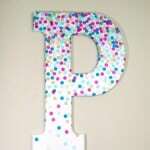 I painted on a little Mod Podge to the back and gently placed it on the wall. 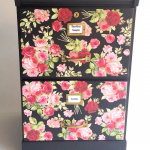 I also added a little Mod Podge on top. I added a couple pieces of wooden furniture that I got from The Dollar Tree. I tried to paint them up to match and I think it's a cute touch! Like I said at the beginning, this is a perfect craft to keep the kids busy this summer. They will have a blast putting their house together and playing with it all summer. 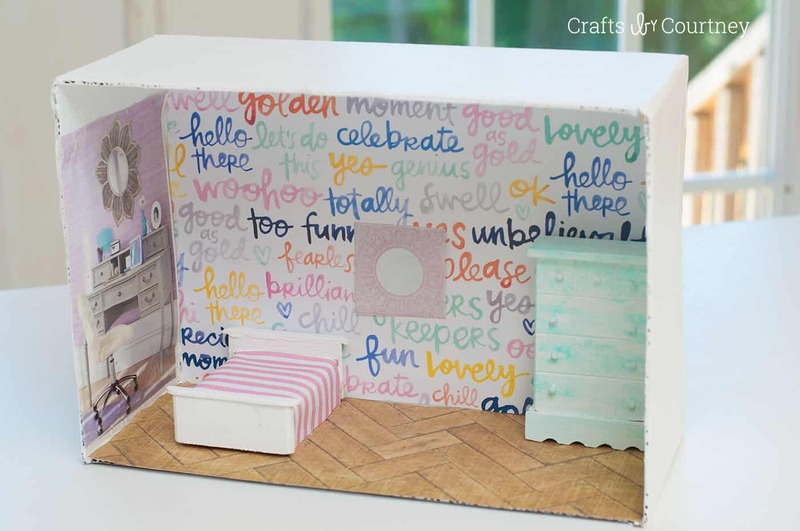 Would you try a DIY doll house?